Tax breaks, also know as federal tax spending, includes things like mortgage deductions, child tax credits and lowered tax rates on capital gains. The CBO published a report today on what these deductions and tax breaks cost the federal government in annual revenues. The total amount is enormous. The top 10 most revenue syphoning tax cuts (there are more than 200 tax deductions in all) cost $900 billion. Tax spending is greater than budge expenditures for Medicare, Defense, or Social Security. It equals 1/17th of the US economy (or GDP). But taxbreaks or loopholes don’t show up anywhere in the federal budget, so the relative size of these hidden expenses are not usually apparent. They don’t often make it into the national dialogue when we talk about the budget. Below is the CBO report summary. The following report is an important story of America’s demographic shifts with significant impliciations for children. If 40% of households with children are headed by working mothers, and some smaller percentage are headed by working fathers, then we are approaching the point where only about half of the children growing up are coming from two parent families. What is the impact on tomorrows society when nearly have the young adults have not grown up with a father or mother role model in their life? It also has other significant implications in terms of equal pay for women issues, day care needs, after school programming and much more. Combine this data with the recent mile stone that there are more poor people living in the suburbs than the city and it all represents some significant social challenges that we must face. 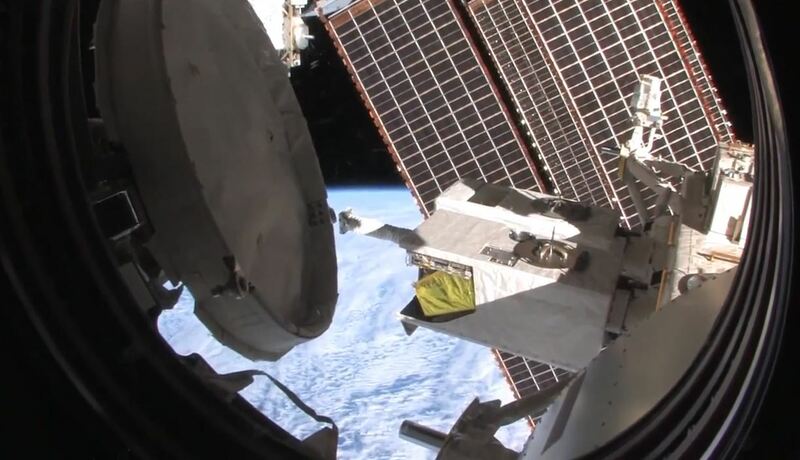 The YouTube video below is an awsome tour of the international space station. This isn’t my usual post, I know, but it was so interesting I wanted to share it with you. In a side comment by Tim Worstall in his recent Forbes commentary, he says: “… if the social costs of climate change were clearly and obviously larger than the consumer benefits of CO2 emissions then we wouldn’t actually have a problem with climate change at all.” He says people would see the soical costs and stop using fossil fules. That’s like saying smokers would stop smoking if they believed their collective habit raised national health care costs and caused premature death among their cohorts. People still smoke who believe this because human behavior is not so rational. Both of these are also examples of just how limited the logic of the market place really is. It’s limited because it relies on collective human behavior rather than human intellect for its logic. And this is precisely why we sometimes need government actions to supersede illogical market outcomes. A key element in America’s social contract is the idea that government derives its authority from the consent of the people. So the question should occasional be asked, is our mutual consent to be governed wearing thin? There is evidence to suggest a growing restiveness in certain populations. Some symptoms of declining consent include gridlock in congress marked by an inability to pass any legislation on a simple majority vote, the resurgence in states’ rights activism, calls in some states for secession, citizens arming themselves in fear (or perhaps the hope) of armed resistance and wide spread efforts to manipulate elections. Perhaps the best, most quantitative way to judge the degree to which we consent (or commitment) to self-government is by our willingness to pay taxes. The attitudes we have towards paying taxes, and the extent to which people and organizations will go to avoid them, is an underappreciated index of our consent to be governed. Just as taxation without representation was a rallying cry leading up to the Revolutionary War, the Tea Party and many other popular reform or resistance groups today rally around taxes as a central point of contention. Objectively speaking, the Tea Party’s opposition to taxes makes no sense since their complaint corresponded with the lowest federal tax rate since the Eisenhower administration. It isn’t until we understand that our attitude towards taxes is a barometer of our consent to be governed that the Tea Party’s tax objections become clear. For the sake of discussion it is helpful to identify different segments of the population that are particularly opposed to taxes. But keep in mind that our personal attitude towards paying taxes is just as valid an indicator of where each of us falls on this measure of consent. Let’s begin with those who see themselves through the lens of American individualism. They value self-reliance and see this as a patriotic duty. They tend to think less of those who are more collaborative, more dependent or less successful. They tend to discount the contribution of the public commons to their own welfare and don’t often recognize how massively interdependent advanced societies really are. They believe that less government is best for everyone. These folks are less willing to contribute to tax supported government services other than for military defense. They are ideological individualist. This group may include some libertarians and on the extreme fringes may also include some anarchists or survivalists. There are those who are suspicious or uncomfortable with American pluralism. These folks tend to live in parts of the country where there is little diversity or just a single predominate minority group. However, folks who hold this belief can be found everywhere. They believe a disproportionate amount of their taxes go to support other ethnic or cultural groups whose members don’t share their same values or work ethic. They may fear that these other groups are taking advantage of government largess. As a result, they are more resentful of paying taxes and more critical of what they see as wasteful government spending. These folks are pluralism-adverse and at the extreme fringes this group may include racists or hate groups. A highly nationalistic subset of this pluralism-adverse group believe their government has already broken faith with them and is threatening their liberty. For them, paying taxes is akin to paying tribute to a foreign potentate. The most extreme of these consider themselves to be soverign citizens. There are some religious fundamentalists who believe all secular government is evil. Some fundamentalist sects focus on The Book of Revelations and an apocalyptic view of the world in which governments plays a role in the rise of the false prophet. For these groups anything that expands government is evil as well, including increased taxes. They are usually considered to be on the fringe of the Christian community, but they have an impact beyond their numbers. Then there are those who believe taxes compete or interfere with commerce and free markets. They believe that taxes reduce the capital available for businesses investments. They fear that more taxes will lead to more government regulations and further hinder commerce. They don’t see government spending as simulative for the economy. For them, the provision of government services to those who aren’t successful contributors is an unfair redistribution of wealth. Members of this group are more likely to have higher incomes and a sense of entitlement. They may pride themselves in their ability to avoid paying taxes. At the extreme fringes of this group members tend to see society as being made up of the have and the have nots, the makers and the takers. They are often contemptuous of taxes and government. Next, there are the disaffected and those too self-absorbed to care much about government. For this group all taxes are an annoyance to be avoided. This is a large and diverse group that is often underrepresented in our national conversations. They include many who are poor, but also many who are middle class folks working hard just to make ends meet. They tend to be swing voters when they vote and their grasp of politics and government policies are more maliable. The underground cash economy is significant for them. The impact of this growing reluctance by some citizens to pay income taxes is huge. According to a GAO report called “HIGH-RISK SERIES, An Update”, the Internal Revenue Service estimated that the gross tax gap–the difference between taxes owed and taxes paid on time–was $450 billion for tax year 2006. The IRS estimated that it would collect $65 billion from these taxpayers through enforcement actions and late payments, leaving a net tax gap of $385 billion. This doesn’t include the loss of tax revenue due to the underground cash economy and foreign US cash transactions. 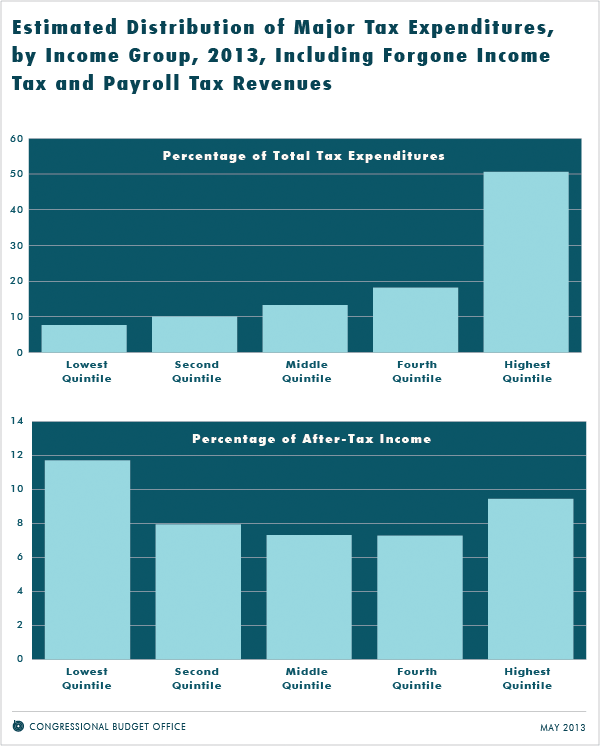 These create an additional tax gap estimated to be between $400 billion and $540 billion annually. There is also the tax gap created when wealthy investors hide their money in off shore tax havens. According to a study by the Tax Justice Network the world’s super rich have at least $21 trillion secretly hidden away in tax shelters as of 2010. This is equivalent to the size of the Japanese and United States economies combined, according to The Price of Offshore Revisited report. Further, the amount of secretly hidden wealth may be as high as $32 trillion. Arguably the most tax resistant groups, which also have the greatest fiscal and political impact, are businesses and corporations. The largest loss of tax revenue, representing the lowest level of consent to be governed, comes from the corporate sector. The shift in the percentage of total federal income taxes paid by individuals verses businesses has grown substantially over the years. Individual income taxes raised 41% of the total tax revenue in 1943 while business income taxes made up the rest, or more than half of the income tax receipts. Compare this with today where 79% of total revenues comes from individual income taxes. This shift in tax receipts from corporations to individuals cannot be explained by a shift away from C corporations (who pay the corporate income tax) to S corporations (who don’t). According to the financial site NerdWallet, the 10 most profitable U.S. companies paid an average federal tax rate of just 9 percent in 2011. The group includes such giants as Exxon Mobil, Apple, Microsoft, JPMorgan Chase and General Electric. 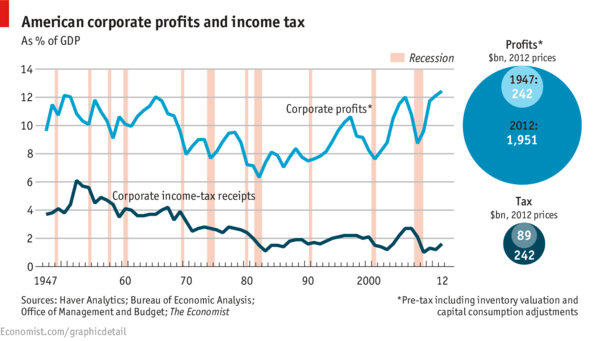 The Economist recently posted a graphic by the Bureau of Economic Analysis that depicts the decline in corporate taxes juxtaposed to the rise in corporate profits. The inability of the federal government to collect taxes from the nation’s elite and its biggest corporations is a serious sign of trouble. It signals a real strain in our social contract and severly limits the ability of the government to serve its people. The problem is compounded by the fact that anti-tax sentiments are being exploited by wealthy business interests to ferment dissatisfaction and distrust of our government. A coalition of the most anti-tax, anti government constituents from the various tax adverse segments of society described above would look very similar to the Tea Party base of today’s Republican Party. The power we invest in civil government is the only check we have to balance the power of the largest corporations to do as they wish in pursuit of profits. It would be a mistake to weaken our commitment to good government now when it is under assault. There are still many who believe taxes are the price we must pay for a just and robust society. Paying taxes is our civic duty and evidence of our commitment to one another. It reflects confidence that our government is representing us and upholding the social contract. The present IRS scandal over the targeting of Tea Party groups for selective scrutiny of their 503(c)4 tax status is really a minor but convenient distraction from the real tax crisis we face. We are facing a crisis of confidence in self-government. It is a challenge of our time to rekindle a popular passion for civil government that is truly of, by and for the people. The American social contract is threadbare in certain parts of America. Areas of this great country are falling into disrepair, dissolution as if under a spell . In places like the Camden, New Jersey and now Josephine County, Oregon, public safety has been compromised by the failure of will to raise taxes. Below you will find a very disturbing report on the latter situation from Oregon Public Broadcasting. It dramatically highlights what can go wrong when citizens can’t make the connection between good government and the tax revenue it takes to have it. First, let’s consider the various segments of our population who oppose raising taxes. There are those who see themselves through the lens of American individualism. They value self-reliance and see this as a patriotic duty. They tend to think less of those who are more collaborative or more dependent or unsuccessful. They tend to discount the contribution of the public commons to their own welfare and don’t often recognize how massively interdependent our advanced society really is. They believe that less government is best for everyone. These folks are less willing to contribute to tax supported government services other than for military defense. They are ideological individualist. They may include libertarians. On the extreme fringe they may include anarchists or survialists. There are those who are suspicious or uncomfortable with Ameican pluarism. These folks most often live in parts of the country where there is little diversity or only a single other minority group. But folks who hold this belief can also be found everywhere. They believe a disproportionate amount of their taxes go to support other ethnic or cultual groups whose members don’t share their same values or work ethic. They sometimes fear other groups are taking advantage of government largess. As a result, they are more resentful of paying taxes and more critical of wasteful governement spending. They are pluralism-adverse. At the extremes this group may include racists and hate group. A highly nationalistic subset of this pluralism adverse group believes the federal government has already broken faith with the people and threat our liberty. For them, paying taxes is akin to paying tribute to a foreign potentate. There are some religious fundamentalists who believe all secular government is evil. For them, anything that expands government is evil as well, including raising taxes. There are those who believe taxes compete or interfere with commerce and the free market. They think that taxes only reduce the capital available for business and contribute to government regulations. They don’t see government spending as stimulating for the economy. For them, the provision of services to those who aren’t successful contributors to the economy is an unfair redistribution of wealth. This group are more likely to have higher incomes and to pride themselves in their ability to avoid paying taxes. In the extreme they tend to see society as made of the have and have nots, the makers and the takers. I believe all these groups are being aggitated and moulded into an anti-government political movement to reduce the power of government to regulate powerful corporate interests. But regardless of what you or I believe, the truth of who we are becoming is reflected in the hopes and fears of this 911 caller in Josephine County, Oregon. The Economist states it just right. Big corporations are avoiding their tax obligation. They have no sense of duty or obligation towards the peoples government which created corporations and the condition in which they have flourished. Increasingly, government is a gadfly to corporate profit making as citizens insist, through their government, that we breath clean air, drink pure water and eat healthy foods. Corporations are so large and powerful today that the only checks on their power is big government… hence the sustained attacks they are waging on big government. But when governments no longer have the power or ability to collect taxes from the elite or the largest corporations, they are close to colapsing. That is the message I take away from this latest report. I encourage everyone to go there and read more. THE pressure on tax-avoiders is mounting. In the latest episode Tim Cook, Apple’s boss, was called before a Senate subcommittee to explain why the tech giant had paid no tax on $74 billion of its profits over the past four years—though it has done nothing illegal. This comes at a time when America’s corporate profits are at a record high, thanks to the swift sacking of workers at the start of the recession, lower interest expenses, and the fact that cheap labour in emerging markets has eroded union power, allowing firms to move production offshore and defy demands for pay rises. Meanwhile corporation tax, which makes up 10% of the taxman’s total haul (down from about a third in the 1950s) has plummeted. An increase in businesses structuring themselves as partnerships and “S” corporations, which subject profits to individual rather than corporate income tax, is in part to blame. But tax havens are also culprits, as they lower their tax levels to lure in bigger firms.